This part of the museum covers British fossils from early in the Cretaceous Period. Many of Britain’s dinosaur fossils come from this time and here you will find fossils of dinosaurs like Iguanodon. The uncrushed preservation of pterosaur fossils from a rock named the Cambridge Greensand makes them internationally important. You can also see beautiful ammonites fossilised with their iridescent mother-of-pearl still preserved and unusual uncoiled types. The Museum’s cast of a full-size Iguanodon from Belgium, stands in this part of the gallery. 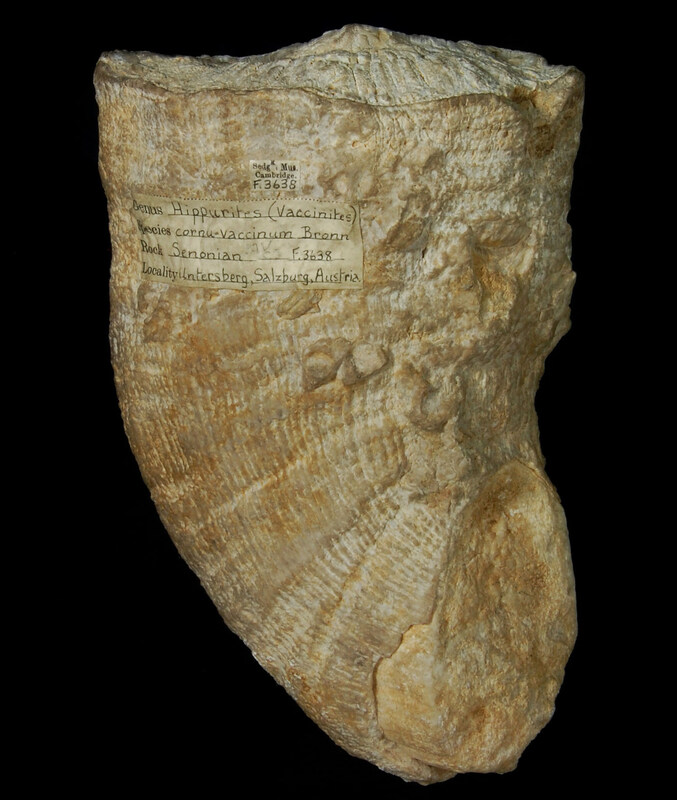 Rudists are a curious group of extinct bivalved molluscs, which lived (Late Jurassic to Late Cretaceous times) attached to the seabed by one large cone or tube-shaped valve and a smaller capping valve. They were particularly abundant in shallow tropical seas and some grew to over a metre in length, forming reef-like structures. Although most ammonites grew with a spiral, wheel-shaped form, some groups, called heteromorphs, grew into a variety of uncoiled shapes. 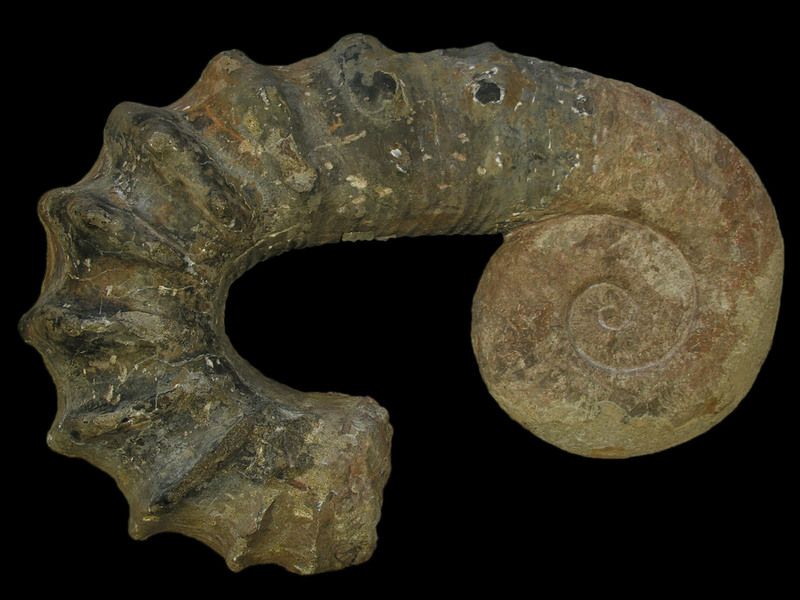 They included helical snail-like forms and some completely irregular ones. Most of these probably lived on the seabed, whilst most of the wheel-shaped forms were capable of swimming by water-jet propulsion.